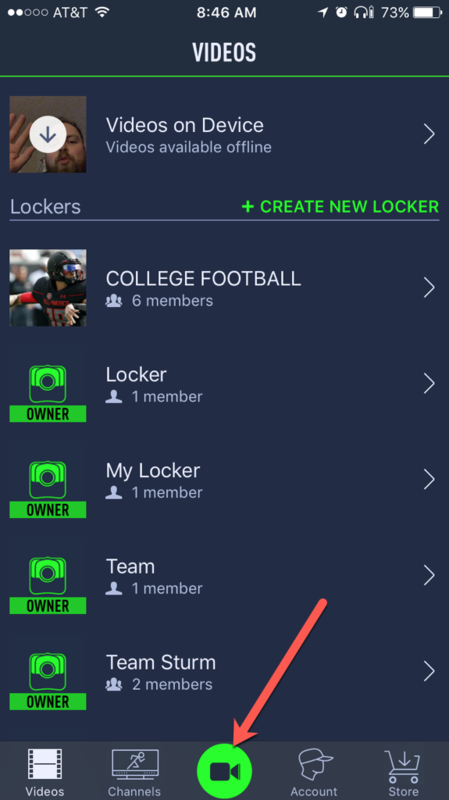 With a Coach's Eye + VIP or TEAMS subscription, you also have access to our GoPro integration. With our GoPro integration you can now wirelessly import your GoPro videos into Coach's Eye, as well as live preview your GoPro videos from within Coach's Eye. **Please Note: The Coach's Eye live preview integration is only supported with the GoPro Hero 4 and 5 and GoPro Hero 4 and 5 Session cameras. **Please Note: You will need to have the GoPro app installed on your mobile device, for the integration to work properly. Get the GoPro app from the Apple App Store HERE. Additionally, you will need to pair your GoPro camera with the GoPro app, and connect your mobile device to your GoPro Wi-Fi network, before you can use the Coach's Eye integration. Make sure you have your GoPro nearby. Open the GoPro app on your mobile device. Select your GoPro model or tap Add New Device, if you do not see your specific device listed in the options. Follow the instructions provided within the GoPro app, to pair your GoPro camera with the app. Tap on the Wi-Fi option. Under the CHOOSE A NETWORK... section, find the appropriate network for your GoPro and tap to connect. Open the Coach's Eye app on your mobile device. Tap the cemera icon. If you ARE NOT connected to your GoPro's Wi-Fi network, you will receive the following message. If you are having trouble with, or need additional assistance connecting to your GoPro's Wi-Fi network, tap on the 'GoPro app' link. This will allow you to try connecting directly via the GoPro app on your mobile device. **Please Note: You will need to return to the Coach's Eye app once you have connected to your GoPro's Wi-Fi network. Once you are connected to your GoPro's Wi-Fi network, Coach's Eye will connect with your GoPro video library. Tap on the GoPro camera icon, located in the lower right-hand corner of the screen, to begin your live preview. Tap the red circle icon to begin recording from your GoPro. Tap this icon again when you've finished recording. **Please Note: The live preview integration works best when you are within 15-20 feet of your GoPro camera. Otherwise, your Wi-Fi connection may drop out while recording. Once you've finished recording, you can tap on the X to delete the video. You can also tap on the GoPro camera icon to add your video to your GoPro library. 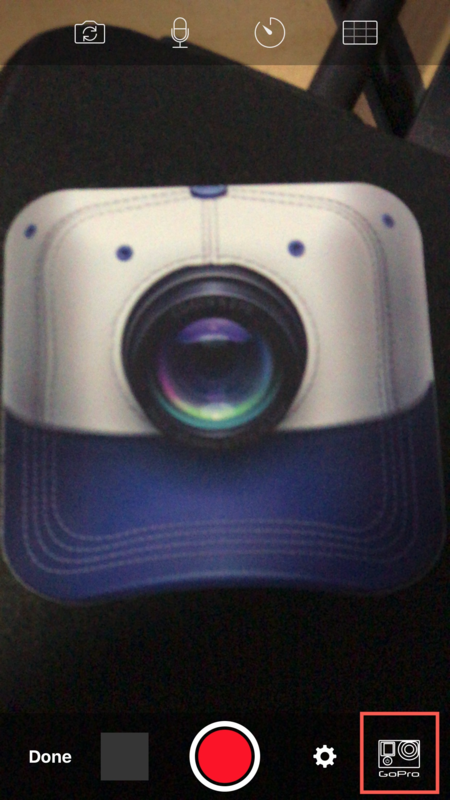 Finally, you can tap on the mobile device icon to enter the Coach's Eye camera view. You can now import your video into your Coach's Eye Device Library for analyzing and sharing.